Under the Notice of Proposed Rulemaking (NOPR), DERs are defined as “source or sink of power that is located on the distribution system, any subsystem thereof, or behind a customer meter.” EE clearly satisfies this definition and it is included in most public definitions of DER. The Lawrence Berkeley National Labs, California Public Utilities Commission, New York Public Service Commission, and others explicitly define EE as a DER. The National Association of Regulatory Utility Commissioners compensation manual for DER, published in 2016, also names EE. E4TheFuture will submit comments to the FERC to point out the omission of EE and recommend that EE be explicitly included. We will also advocate to have wholesale markets incorporate DER stakeholders’ input into their rulemaking processes. We ask you to join us by signing on. Even absent the context of this notice, EE should always be included as a DER. However, it is the objective of this forthcoming rulemaking – to improve access to and participation in wholesale markets – that makes it particularly important that EE be recognized and compensated for the services it provides. 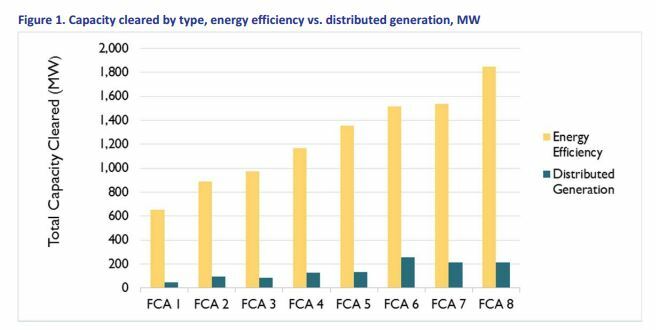 “Energy efficiency can be tailored toward reducing load during certain hours of the day,week, or year (i.e., season),” says Doug Hurley, Principal Associate at Synapse Energy Economics (and former Vice-Chair of the NEPOOL Alternative Resource Sector). Doug reminds us that EE can also be targeted toward location, addressing needs of geographic areas. The locational part is easy to comprehend, but those who aren’t immersed in EE every day may forget that an EE provider can choose to give greater incentives for HVAC systems if they want to focus on peak reduction. Or focus on residential lighting if they want to address evening ramp issues (such as a California “duck curve” situation). Or on commercial lighting if the issue is usage during all on-peak hours. EE is a proven, zero-emitting energy resource and least-cost option for states while also supplying affordable, reliable electricity to residents and businesses. It has clearly demonstrated its ability to successfully participate in wholesale markets. 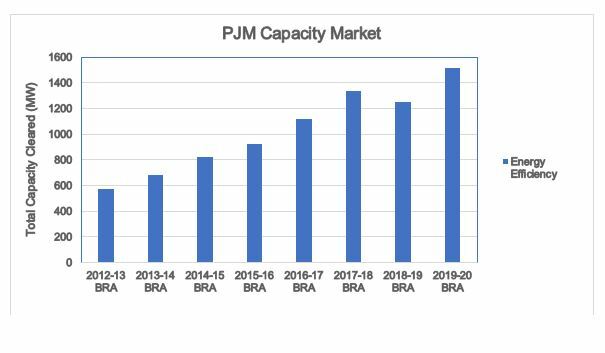 For example, the total MW cleared continues to increase each year in the Independent System Operator of New England’s (ISO-NE) Forward Capacity Market (FCM). Providers expect to receive nearly $175 million for capacity in 2017-18. [i] Substantial potential value can be captured if revised market rules for DER facilitate greater EE participation in all regional wholesale markets. E4TheFuture hopes FERC will recognize the potential consequences of its earlier omission and explicitly include EE as an example of DER. Independent System Operators and Regional Transmission Organizations (ISO/RTOs) will likely draft and revise wholesale market rules directed toward the resources enumerated in the notice. Neglecting to include EE could cause unexpected and adverse impacts, limiting the extent to which EE can participate; advocates would need to spend time fighting for proper recognition. Following poor generator performance during the 2014 “polar vortex,” PJM filed the capacity performance rule “to encourage investment for better generation performance.”[ii] This capacity performance rule, which will go into full effect this year, requires generators to deliver electricity to meet power system emergencies upon PJM’s request year-round. While court challenges and rule modifications are still playing out, it is a classic illustration that ISO/RTO’s rules must evolve over time in response to circumstances. Therefore, E4TheFuture is also commenting that FERC should ask ISO/RTOs to provide a plan to include DER stakeholders at the table for future rulemaking. For background, please see Synapse Energy Economics’ research on how ISO/RTOs currently incorporate input from DER stakeholders into their market rulemaking process. FERC’s actions are a first step toward addressing barriers and facilitating wholesale market participation. EE is already a valuable resource for some wholesale markets and explicit recognition will improve reliability and increase benefits to U.S. electricity customers. The next step toward achieving FERC’s long-term objective of creating fair, competitive and efficient wholesale electric markets is to bring DER stakeholders to the table during the rulemaking process. To add your name and organization to E4TheFuture comments, please sign here by Friday, February 10.